Sometimes the best company on a date is you. 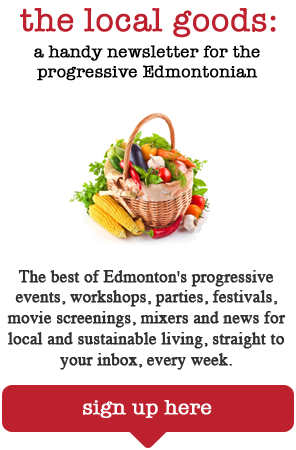 There are a lot of fun things to do in Edmonton in a group or on a date. We have great theatre venues, festivals and restaurants that cater to those who want to enjoy the company of others. The thing is, you don’t always want to be in the company of others. What I have found is that no matter how much I love my friends or my partner, I will always need alone time, and I see no reason for alone time to make me a hermit — I like to take myself out! I know not everyone wants the stress of hitting a movie or restaurant solo, but there are many activities and locations around Edmonton where you can fly solo without drawing unwanted attention to yourself. Here are six of my favorite dates to take myself on in Edmonton. Cha Island is a fantastic café located off Whyte Avenue and 104 Street. It’s one of my favorite places to take myself for two reasons: waffles and tea. And these are no average waffles, my friends. These are plate-sized waffles with names like Oatmeal Cookie and He Shoots, He S’mores! With my dessert (which I have honestly had as “supper” before) I usually get the iced tea. It is different every time I go, and always delicious. For the beer lovers out there, there is a rotating selection of about 50 beers. Super-friendly staff who are never judgmental; they are happy you are there! A fun “Island” décor that is just shy of being too kitschy, but manages to pull off beachy and relaxed. A large selection of National Geographic magazines located upstairs for those who would rather look busy. On nights where there is live music, it gets a bit busy to enjoy your own company. The Art Gallery of Alberta is, in my opinion, the most beautiful building in Edmonton, inside and out. I could go and just look at the building, but the exhibits are always worth seeing. Even when I have found some exhibits to be a “miss” for my personal taste, I always leave with at least one that left me feeling like my money was well spent. No one notices you are on your own: everyone is (or should be) paying attention to the art, and for all they know, your friends are in the next room. The last Thursday of every month is Servus Community Access Night and is free after regular hours, from 6 to 9 p.m. There is almost always something there I wish someone else had seen with me. The solution: go again with someone else and guide them through your favorite areas! Many of my self-dates involve indulging in something delicious, and La Poutine on 109 Street certainly fits the bill. It’s not the place to sit and enjoy your meal (with only four places to sit and an almost constant line-up) but it’s definitely the place to grab a large helping of poutine in practically any variation. Perogy poutine? Check! Cheeseburger poutine? Check! Donair poutine? Check! Good old-fashion gravy and cheese curds poutine? Check! I’ve had most of the options from the menu with both traditional and beef gravy options, and I have never been less than satisfied and very full! Even when there is a line out the door (which does happen during the summer weekends) the service is quick and the food is delicious. So many options: you will never be bored! There are only four places to sit, so if you are looking for a place to sit and relax, this probably isn’t it. The ’90s kid in me will always think Blockbuster movie rental when I picture a lazy night in (sometimes, I do want to be a bit of a hermit). I love my Netflix, but there is something to be said for physically browsing through a mass of movies to find just the right fit for the night. The Movie Studio on 109 Street allows me just that, and they throw in popcorn from their in-store popper! The staff clearly enjoy working there. You get a free small baggie of popcorn (if you so desire, which I always do). They are currently renovating to shrink in size (but not in movie selection) so it can be a bit messy, but have no fear, The Movie Studio is staying! To me, there will never be a better place to enjoy my own company than in the company of good books, and the Wee Book Inn on Whyte Avenue has two floors full of used books to choose from! It is easy to lose a couple hours in this store. There is a store cat! There is a great selection of used books in pretty much any genre. There are four locations, so there is bound to be one near you (my personal favorite is the Whyte Avenue location). You may get distracted by the cats and forget you are surrounded by books. Price: Free to browse and play with cats! Plenty of wallet temptations, but the books are usually half the price you would pay at Chapters. With summer being this close all I can think about is being outside, enjoying the sun and greenery and being active. Last year I was looking for a new outdoor/indoor activity, and I discovered Flowlab Hula Hooping Classes. I was super nervous. I thought I would be embarrassed to wiggle around in a hoop that would undoubtedly flop to the ground repeatedly, but the drop-in class was so much fun! The instructor, Carla, is friendly and so helpful, and in the beginner class, we all looked pretty ridiculous, but we learned quickly! While it is cheaper to sign-up for a session of classes, the class is drop-in, so you have no commitment to continue. Carla brings hoops so you don’t need to bring anything but yourself to the class, and you can buy one later if you are hooked and want to practice at home. It is more active than I thought, but it doesn’t feel like a workout — it is way too much fun! No one notices who is there with or without someone; you are all pretty focused on trying to keep your hoop up and moving! You definitely can’t take yourself too seriously in a class like this; you are going to make lots of mistakes. The location can be difficult to find your first time, so be sure to get really clear directions from Carla when you sign up!